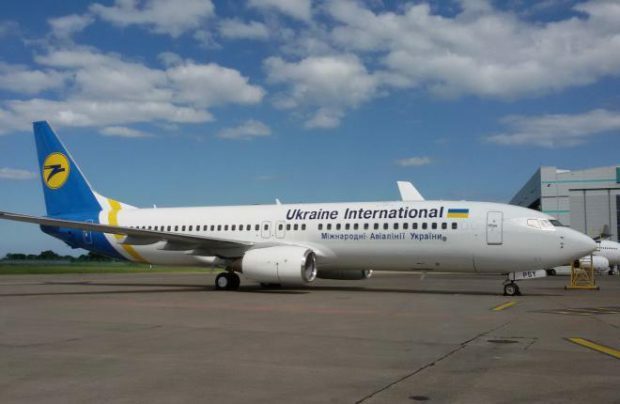 Ukraine International Airlines (UIA) took delivery of another aircraft in early June, bringing its total fleet up to 42 aircraft. The newly received airliner is a Boeing 737-800, the country’s flag carrier revealed in a Facebook statement. The aircraft, registered as UR-PSY, seats 186 in a two-class layout. It will be operated on all of the carrier’s medium-haul routes. The aircraft was leased from Apollo Aviation. It was previously operated by Gol Transportes Aereos, a Brazilian low-cost airline. The aircraft performed its maiden flight in November, 2006, which makes it over 10.5 years old. UIA intends to add a total of five B737-800NGs by the end of 2017, including two factory-new ones. In parallel, the carrier will continue to renew its fleet: two aged Boeing 737-500s are scheduled to be phased out in fall. UIA’s fleet, whose average age stands at 11.2 years, includes 25 Boeing 737NGs.